UFW Stories: "Cesar Chavez and San Antonio....wonderful history." "Cesar Chavez and San Antonio....wonderful history." 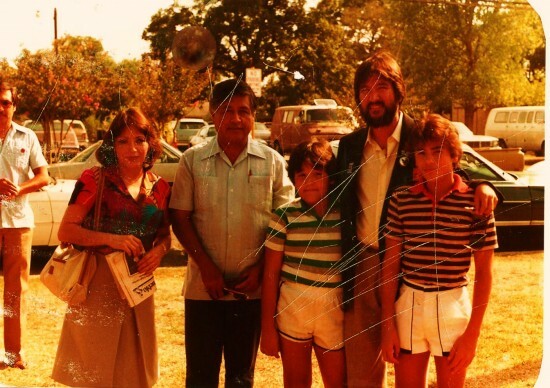 It was through my father that I was blessed to meet Cesar Chavez, and in the later years his brother Richard Chavez. As a young boy, I can recall travelling from San Antonio to the Rio Grande Valley to attend organizing meetings, and rallies during the summers. What stands out most for me was Cesar’s incredible ability to connect with people and bring them together for a common cause, and by the masses! Cesar Chavez visited San Antonio many times, and in 1983 when I was 15 years old I had an opportunity to hear him speak at an event held at the Mexican American Unity Council. It was at that event that I recognized the significance of The UFW, and the importance of getting involved to preserve the life and legacy of this great man. In 2012, after a 15 year long fight, we finally got a street named in Cesar’s honor. Happy 50th Anniversary to the UFW ! Congratulations on this milestone….and VIVA CESAR CHAVEZ !